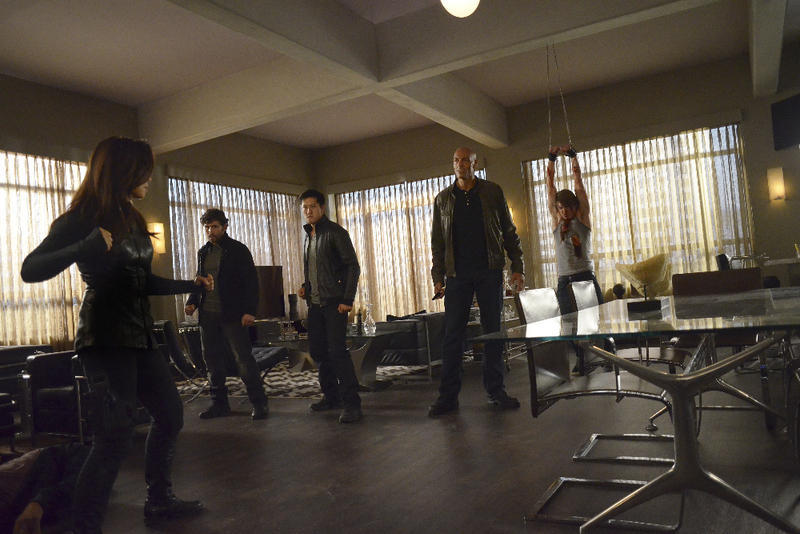 Welcome back to my weekly review of Marvel’s Agents of S.H.I.E.L.D.! To check out my coverage of the previous few weeks click here. As always, remember this post will contain *SPOILERS*. Also, just as a note, I’m going to take a different approach to how I outline my reviews breaking them up based on which characters were focused on and the plotlines they were involved in. This weeks episode was a little bit of a let down for me as it felt like somewhat of a filler; with the exception of the reveal at the end which I will address in a moment. 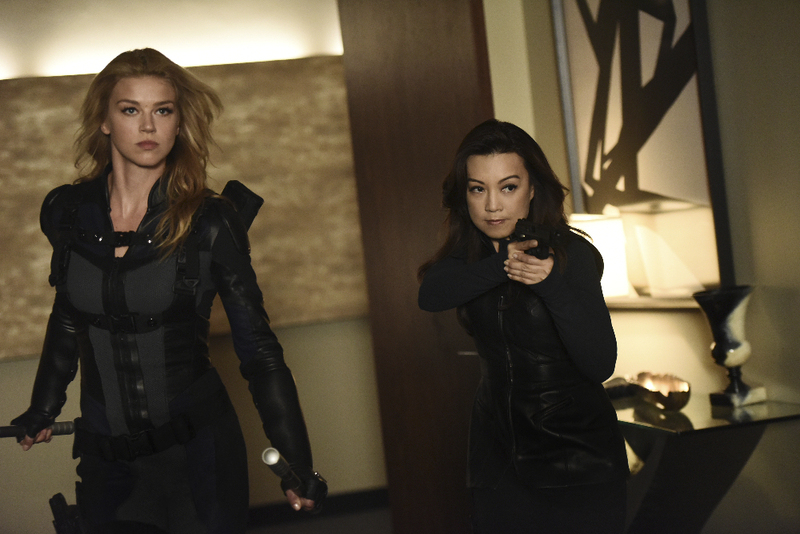 We have seen for weeks the continuous work of Agent Bobbi Morse to get back to mission ready shape and return to active duty within S.H.I.E.L.D.’s organization. This episode both kickstarted and halted the process a bit. It’s revealed that Bobbi was intentionally putting herself on the shelf because she no longer feels like she can be an effective combative agent. Apparently, her experiences from her torture at the hands of Ward last season have left her feeling no longer confident in herself or her abilities. This of course would have been a worthy direction to go with this character, because clearly torture is a horrific thing to go through and it would be interesting to see the results of that on Bobbi; however, I feel that the execution just was not here, including any of existence of build up to this thread in the prior weeks. Up until now I got the sense that Bobbi was impatient, and wanted to take any opportunity in which to get back out there fighting the good fight. In this episode, as soon as she was out there, it felt like she just wanted to get back to base and hide in a corner. Her fight scene near the end of the episode with Ward’s #2 man didn’t help either as the choreography was all over the place. With May’s challenge Bobbi was able to demonstrate how ready, skill wise, she was. With this fight she appeared sloppy, and I know there is a difference between fighting in a gym and fighting in the field, but the stakes weren’t very present, especially in the latter. This thread was a bit clunky overall, but it ended up feeling somewhat sweet. As I’ve come to see Constance Zimmer’s work over the past couple of years in the likes of The Newsroom, House of Cards, and now here, I am becoming continually impressed with her work and I’m glad she is on this show. What came across as clunky in these scenes is the shows (possible?) attempts and giving Phil Coulson a romance of his own. Now don’t get me wrong, I want Phil to find some love at some point, and even if it is with Rosalind, based on this episode I think it could work, but the pacing of these scenes made it feel like the show was riding a bus with square wheels. These two characters obviously have a lot in common, and they do have the best interests of the Inhumans at heart, but the amount of time it took to find these things out, especially for the two people who are supposed to be experts at tradecraft, made it feel boring and yes, I’m going to stick with this word, clunky. The reveal though that Rosalind is trying to protect the Inhumans by putting them in some sort of gel bath coma was interesting. It seemed strange at first, and I was waiting for the sinister nature of things to reveal itself, but they didn’t (at least for now) and I was able to understand where Rosalind’s head is at and that was a cool thing for me. Also, Phil looked really happy when she said she wanted him to like her. Daisy this week decided to investigate what she saw Lash do in last week’s episode which was, transform into human form. She had developed a theory that the human was in fact an ATCU operative, working undercover. Mack was assisting her with this theory and they decided to place their focus on Rosalind’s #2, Agent Banks, played by Andrew Howard. They decide to go and tail Agent Banks and Hunter, now on the bench, is desperate to help with something, so he tags along as the driver. His involvement allowed for the greatest humour in the episode as Mack attacks Hunter’s propensity for anger and violence. The chemistry between the three characters here was pretty strong. Hunter, as well, eager to get back in the good graces of everybody, uses his “unique” techniques to get the job done. I can’t argue, and neither can Daisy and Mack, with his results, as Hunter is able to get the blood from Banks they need to analyze, as well as getting Banks’ cell phone which leads the small team to one of ATCU’s facility. The same facility that Rosalind Price ends up showing to Coulson. Simmons finally gets the results of Banks’ blood and it turns out he has no Inhuman gene, so he isn’t lash. So who is? Yup! Everyone’s favourite psychiatrist is in fact our mysterious Inhuman Lash. We find this out from the young Von Strucker who was sold out by a friend of his father’s played by Powers Boothe. Boothe decides to sell out Von Strucker here to Ward, thus setting up the showdown between Bobbi and May and Ward’s Hydra goons. After being tortured himself, Von Strucker tells May that he was tasked with killing Dr. Garner, but instead of thinking that an undercover S.H.I.E.L.D. agent had saved him like he had told us at the beginning, he saved himself by turning into Lash. I was surprised. At the beginning of the episode I did think to myself, its probably gonna be Garner and that’ll be such a cop out. But as the episode progressed and the reveal was actually made I felt a lot better about it. I am really curious to see in the coming weeks when other characters will find out the news, especially with the tag at the end between Daisy and Dr. Garner as Garner was trying to find out any information as to Lincoln’s whereabouts. Still not sure where his allegiances lie. I’m very curious to see specifically how May reacts to this, it is going to be very heartbreaking I think. Overall this was an overloaded episode, and I didn’t even get to mention what Fitz and Simmons were up to in regards to re-opening the portal. Which was not really much, because that would have really put too much into such a short amount of time. This episode suffered though from giving us too many threads, especially ones that didn’t really pay off. The ending reveal made up for things though and it helped push the momentum to next week. Onward!